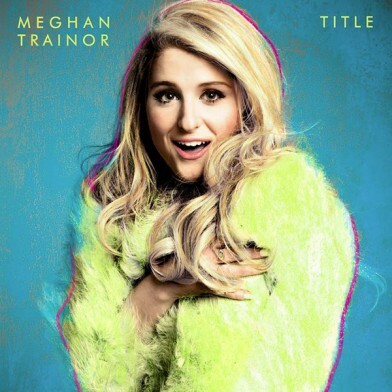 Due to be released later this month, ‘Title’ is American singer/songwriter, Meghan Trainor’s latest debut album, introducing insight into the 21 year olds music style, full of doo-wop fun and less than light-hearted mistakes. Lavishly delving into a rich blend of pop, the album is enriched with sass and up-tempo tunes, packed with flavour and bittersweet stories. Trainor’s ability to create eclectic songs, is fundamental in showing her range as an artist. With hip hop and pop essentially being her widely recognised sound, the album shows how Trainor delves into an arrangement of beats and synth sounds comparatively similar to those used in soul and pre-noughties tracks. However, whilst there is a difference in style, it isn’t clear. ‘Changes in Life’ offers a twist to the loud ‘All About That Bass’, taking on luxurious harmonies created by Trainor’s collaboration with John Legend. Yet the majority of the album stretches the pop theme leaving us wanting a taste of more tantalising chord progressions, and intriguing melodies. Much of what the songs stand for is to explain the complexities of love: the dreams and reality. It seems Trainor’s other intention is to use the album to stand as a testament for her beliefs and attitudes, empowering the youth. In tracks such as ‘Close Your Eyes’, Trainor sings about how people are beautiful no matter what, proclaiming it doesn’t matter what a person looks like. Where ‘3am’ is a typically sweet pop song, ‘What If’ echoes the score of an old love movie, introducing a style of music more familiar to a 1960s, soca, rhythm. Juxtaposing this, are tracks such as ‘Walkashame’ and ‘Bang Dem Sticks’ which are striking, modern and written with wit and humorous integrity. All together, the album holds out as an enjoyable array of tracks, suited for dancing to more than anything. Lyrically, they are written in a way that’s relatable to other young people, sure to have fans in awe of Trainor’s simplicity and deep regard of the meanings of events in her life and how they affected her. Simply the album is there to show the songwriter’s artistic progress, having worked on it. Yet if you’re looking for an album that pulls in rustic soul, crashing beats or doleful, dulcet tones, then ‘Title’ will unfortunately hold dry for you.